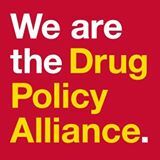 The Drug Policy Alliance, and its electoral arm Drug Policy Action, is an organization that works to change marijuana laws across the country. It has offices in Washington D.C., New York, California and elsewhere. Says Debbie Wasserman Schultz "voted repeatedly to send terminally ill patients to prison."